The anthropogenic release of toxic metals into the environment poses danger to the health of both humans and the local ecosystem. Biosensors for the detection of metals have been developed to improve our ability to monitor these environmental contaminants, yet most of these sensors use heterotrophic bacterial hosts, which require a fixed carbon source and do not typically grow in natural waterways. In this study, we constructed and characterized metal sensors for development of a photoautotrophic biosensor using Synechococcus sp. PCC 7002. We characterized gold and copper sensors based on modified MerR transcriptional activators: GolSA113T, with improved gold binding, and GolSCL, containing the metal-binding loop from CueR which binds both gold and copper. The metal-sensing constructs were first optimized and characterized in Escherichia coli MG1655. The addition of a strong ribosome binding site to the optical reporter protein increased translation of the fluorescent reporter, and expression of golSA113T from the rbc promoter of Synechococcus sp. PCC 7002 improved the response to gold in MG1655. 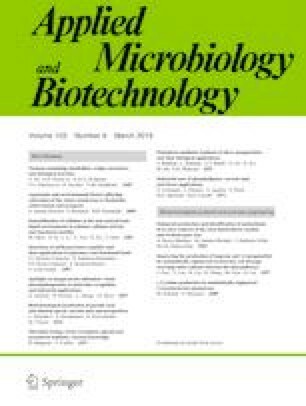 In rich medium, the GolSA113T-based E. coli sensor detected gold at concentrations as low as 100 nM, while the GolSCL-based E. coli sensor detected gold and copper at sensitivities of 100 nM and 10 μM, respectively. Both E. coli sensors responded to gold and copper yet showed no detectable response to other metals. Abiotic factors, such as medium complexity, were found to influence the response of the E. coli sensors, with minimal medium resulting in higher sensitivities of detection. Expression of the GolSA113T- and GolSCL-based sensor constructs in the cyanobacterium Synechococcus sp. PCC 7002 resulted in photoautotrophic gold sensors, but these biosensors failed to produce a significant response to copper. Moreover, the fluorescence response of the cyanobacterial sensors to gold was significantly reduced compared to that of analogous E. coli sensors. While this effort demonstrates feasibility for the development of photoautotrophic biosensors, additional efforts to optimize sensor performance will be required. Randy F. Lacey and Dongmei Ye contributed equally to this work. The online version of this article ( https://doi.org/10.1007/s00253-018-9490-7) contains supplementary material, which is available to authorized users. This work was supported by the Laboratory Directed Research and Development program at Sandia National Laboratories. Sandia National Laboratories is a multimission laboratory managed and operated by National Technology & Engineering Solutions of Sandia, LLC, a wholly owned subsidiary of Honeywell International, Inc., for the U.S. Department of Energy’s National Nuclear Security Administration under contract DE-NA0003525. RFL was supported by an appointment to the Intelligence Community Postdoctoral Research Fellowship Program at Sandia National Laboratories, administered by Oak Ridge Institute for Science and Education through an interagency agreement between the U.S. Department of Energy and Office of the Director of National Intelligence. The authors also acknowledge Dr. Bryan Carson (Sandia National Laboratories) for his generosity in sharing equipment. This paper describes objective technical results and analysis. Any subjective views or opinions that might be expressed in the paper do not necessarily represent the views of the U.S. Department of Energy or the United States Government.